Inviting 2-story home in ideal location. XL living room w/ gas fireplace. Kitchen has ample cabinetry. 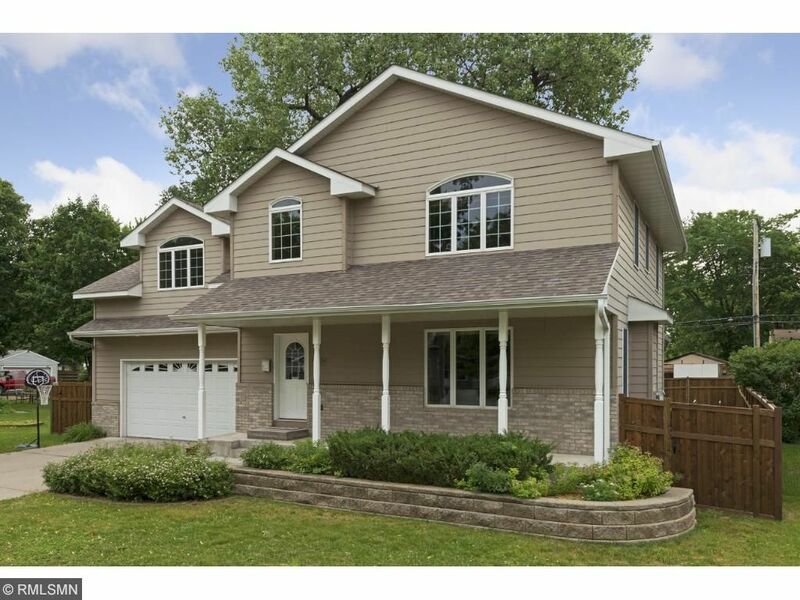 Solid 6-panel doors, hardwood floors & new carpet throughout home. Upper level features 4 bedrooms and laundry. Master bedroom suite. The fourth bedroom could be used as an office, kids area or man cave. Enjoy the MN seasons in the four season porch. Oversized two-story garage. The backyard has a deck and fully enclosed wood privacy fence. Quick access to major roadways, shopping and parks.